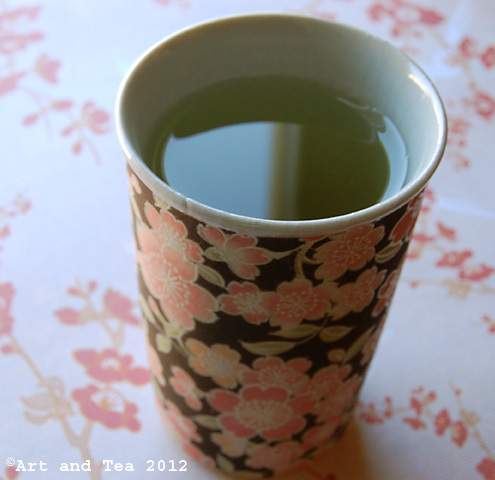 Good morning, dear tea friends! I hope that you all had a fabulous week. This morning’s tea comes from Fujian province in China and was harvested in March of this year. Please allow me to introduce you to Pre-Chingming Snow Dragon, a green tea. 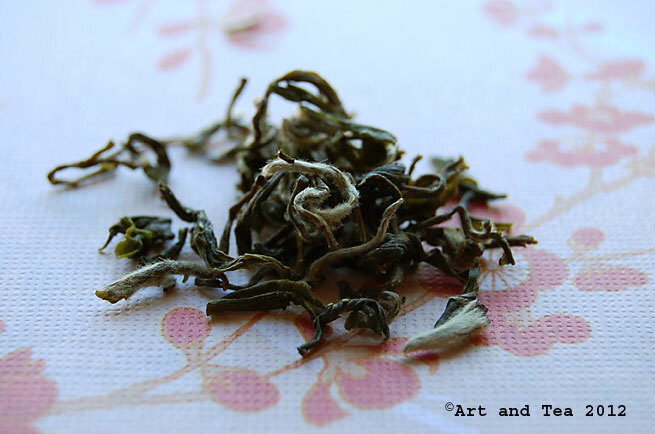 For more information about Pre-Chingming teas, I’ve written about them here and here. 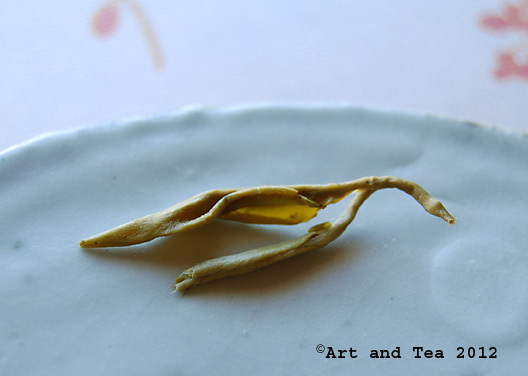 The leaves consist of what are called “bud sets”, the fine plucking of the new growth on the tea plant. So, in other words, delicate baby leaves. You can see what I mean in this photo of the wet leaf. I steeped the leaves for 3 minutes in 180F water. The aroma was quite vegetal as I poured my first cup. Vegetal like your first bite of new asparagus in the spring. 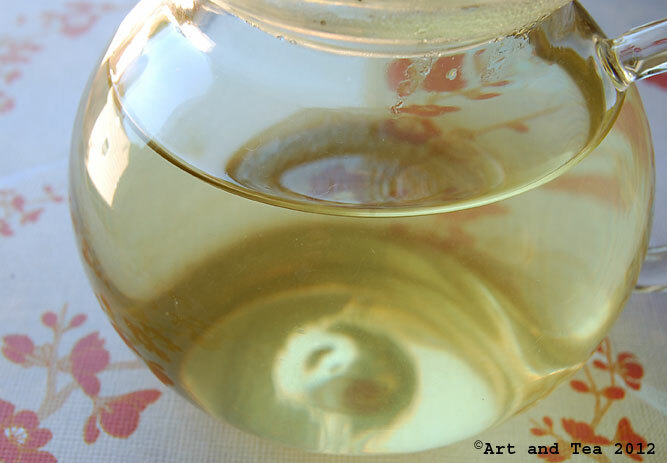 The tea liquor is a delicate greenish straw color, as light as a white tea. The flavor isn’t delicate though. It’s rich with floral notes and a pronounced sweetness which lingers in my mouth. I’ve read that the producer of this tea describes the flavor as a “wild green” taste. While I find this tea vegetal but not overly so, I’m not sure what that description means. Does anyone know? Today is my granddaughter’s dance recital. Very exciting! Have a wonderful week! 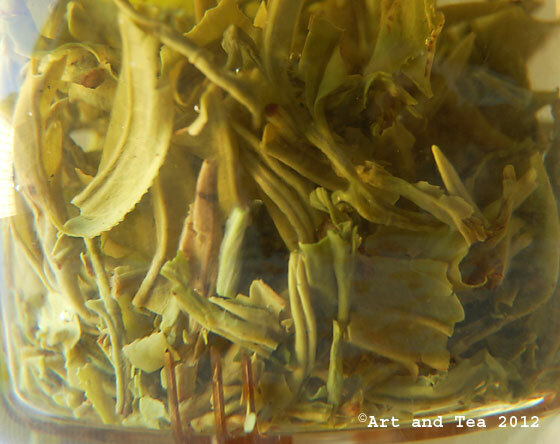 This entry was posted in Chinese tea, Green Tea, Photography, Tea and tagged Pre-Chingming green tea, Pre-Chingming Snow Dragon, Pre-Chingming tea, tea review. Seems a very appropriate name for the year of the water dragon.